Saruman, Gandalf, Eagles, Ents, and more! 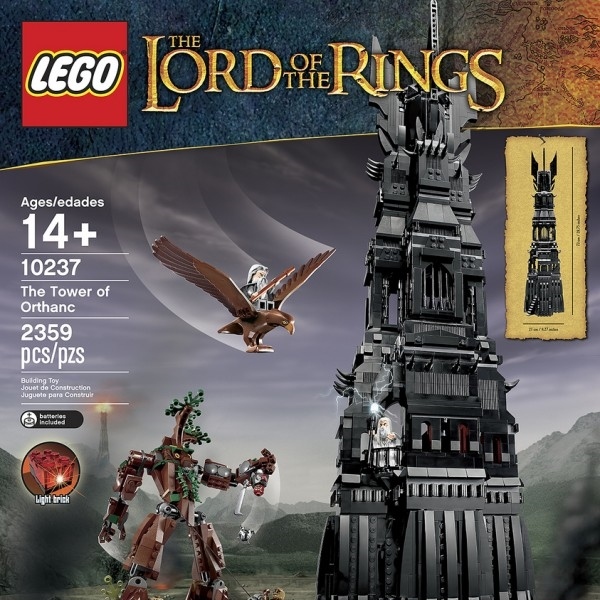 Lego has recently unveiled their newest The Lord of the Rings set, The Tower of Orthanc. It is accurate down to the minutest detail, featuring Saruman's Throne Room, a glowing Palantir, and even a model of an ent. Any of this line of models is must have, but it is impossible to live without this! • Prepare the bomb for the Battle of Helm’s Deep!